The Congress has lost one MP and 21 MLAs to the cycle of defections, while the BJP lost five MPs and 12 MLAs. New Delhi: Building up suspense in the run-up to any blockbuster election are the action-packed trailers of netas lobbying and posturing for tickets. 2019 is proving to be no different. Leading the pack of defectors this time is actor-turned-politician Shatrughan Sinha, who is all set to leave the BJP for the Congress this week. While Sinha has been a vocal critic of BJP leadership, his break with the party was finalised when the two-time Patna Sahib MP met Congress chief Rahul Gandhi last week. Apart from Sinha, the list of defectors includes 50 top leaders from across the political spectrum, including nine sitting MPs and 39 MLAs. 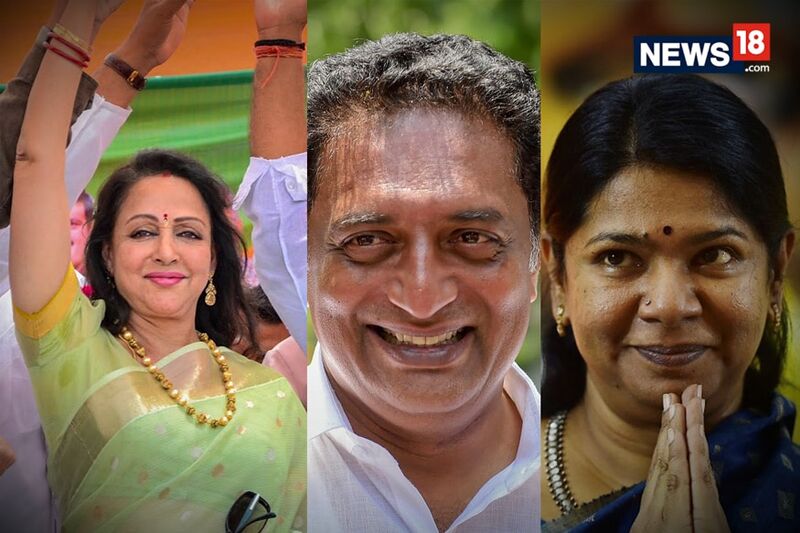 Among the sitting lawmakers, three MPs and 10 MLAs have defected to the BJP, while three MPs and one MLA have switched over to the Congress. The Congress has lost one MP and 21 MLAs to the cycle of defections, while the BJP lost five MPs and 12 MLAs. Of the 22 lawmakers who defected from the Congress, eight MLAs joined the BJP in the last two months. On February 3, Asha Patel, MLA from Unjha town in Mehsana district of Gujarat, resigned as a legislator and quit the party to join the BJP. Patel had defeated BJP’s stalwart Naran Patel in the 2017 Assembly elections. On March 8, Congress’s Manavadar MLA Jawahar Chavda resigned from the Gujarat Assembly and was soon made cabinet minister in the Vijay Rupani government. Three more Congress MLAs from Gujarat also resigned from the Assembly as well as the party to join the BJP. Two of them were made cabinet ministers. The trio, including Chavda, now have to get re-elected in bypolls. In Karnataka, Congress leader Umesh Jadhav, MLA from Chincholi in Kalaburagi district, resigned in a huff after being denied a ministerial berth when the Congress aligned with the Janata Dal (Secular) to form the state government in May 2018. The BJP is now likely to field Jadhav against the Congress from Kalaburagi, officially known as the Gulbarga constituency. In Arunachal Pradesh, Markio Tado, Congress MLA from Tali, moved to the BJP. He is expected to contest as a saffron party candidate for the upcoming Lok Sabha elections. The Congress has also been grappling with thinning ranks in Maharashtra. On March12, MLA Sujay Vikhe Patil joined the BJP after Congress ally NCP rejected his request to contest from Ahmednagar Lok Sabha seat. Within a week, his father Radhakrishna Vikhe Patil also quit as Maharashtra Leader of Opposition. The BJP is fielding Patil Jr. from Ahmednagar constituency now. Another exit from the Congress to the BJP was Tom Vadakkan. A former AICC secretary in Kerala and close aide of Sonia Gandhi, Vadakkan defected to the saffron party and may fight Lok Sabha elections on a BJP ticket. In West Bengal, Dulal Chandra Bar, Congress MLA from Bagda Assembly constituency in North 24 Paraganas, defected to the BJP. Since February, three top MPs from the BJP have defected to the Congress -- Kirti Azad (Darbhanga, Bihar), Savitri Bai Phule (Bahraich, Uttar Pradesh) and Ashok Dohray (Etawa, Uttar Pradesh). Azad is likely to contest from Bettiah constituency in Bihar. Phule, a prominent Dalit MP, had resigned from the BJP, alleging that the saffron party “was trying to divide the society” and ignoring the rights of Dalits and backward communities. She has been very critical of the BJP over several issues and had resigned from the basic membership of the party in December last year. She will contest from Bahraich on a Congress ticket this time. Etawah MP Dohray resigned over denial of ticket for the Lok Sabha election, and joined the Congress. Avtar Singh Bhadana, BJP MLA from Meerpur in Muzaffarnagar, also joined the Congress last month. Four-time MP Bhadana is considered an influential Gujjar leader in Haryana and western UP. Former BJP minister Mahadev Nayak from Goa also joined the Congress, alleging that the BJP has been trying to “destroy the bahujan Samaj”. National parties are not the only ones battling defections ahead of elections. Among regional parties, the Trinamool Congress in West Bengal lost two MPs to the BJP -- Anupam Hazra (Bholpur) and Saumitra Khan (Bishanpur). Both had been expelled by the Trinamool Congress for alleged anti-party activities. Besides, sitting MLA from Bhatpara, Arjun Singh, also joined the BJP. Uttar Pradesh saw Mukul Upadhyay, BSP MLA from Sikandra Rao defecting to the BJP. After Upadhyay, two former MLAs, Ramhet Bharti and Gotiyarilal Dubesh, also joined the BJP. 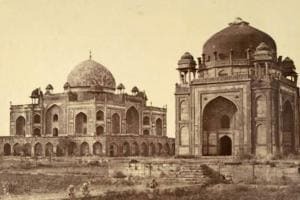 Dubesh was two-time MLA from Agra Cantt. and is considered to have a stronghold in west UP. Chhotelal Verma, three-time MLA from UP’s Fatehabad, has also joined the BJP. An interesting case of defection from BSP to BJP is Vijay Prakash Jaiswal, who had contested against Prime Minister Narendra Modi from Varanasi in the 2014 Lok Sabha elections. However, he could only manage a little over 5% vote share and secured 60,579 votes. Among BSP leaders, the party’s national spokesperson Ummed Pratap Singh also joined the BJP. Uttar Pradesh also witnessed Samajwadi Party’s Yashvir Singh, former MP from Nagina, and Veena Bhardwaj, former MLA from Bilaspur, defecting to the BJP ahead of the polls. Rakesh Sachan, former MP from Fatehpur, also joined the Congress last week. The wave of defection stretches to Odisha too. Biju Janata Dal’s (BJD) Baijayant Jay Panda, MP from Kendrapara, defected to the BJP in the first week of March. He had resigned from the Lok Sabha following his suspension from the BJD for ‘anti-party activities’ last year. In West Bengal, CPM’s Khagen Murmu, MLA from Habibpur, defected to the saffron party in March. The picture isn’t as grim for regional parties since they too benefitted from defections by disgruntled BJP leaders. BJP MP from Uttar Pradesh’s Hardoi, Anshul Verma defected to the SP after the party did not give him ticket for the Lok Sabha polls. In 2014, Verma had won the Hardoi seat after securing 3.60 lakh votes against the BSP's 2.79 lakh. In the third week of March, the BJP suffered a big jolt when nine of its MLAs in Arunachal Pradesh defected to the National People’s Party (NPP). The mass desertion followed the BJP’s decision not to give tickets to state unit general secretary, home minister, tourism minister and several other sitting legislators for the Assembly elections. After this crossover, the BJP is left with 40 members in the 60-member Assembly. Down south in Telangana, the Congress lost 12 MLAs to Chandrashekar Rao’s TRS immediately after elections. The TRS’s seat rally increased from 88 to 101 in the 119-member Assembly. In West Bengal, Mausam Benazir Noor, who has been MP from Congress bastion Malda North since 2009, defected to the Trinamool Congress in January. Noor will be Trinamool candidate from the same constituency for the upcoming elections. Congress saw defections in Odisha, too, where, in January, Naba Kisore Das, then Odisha Congress working president and MLA resigned from the party and the BJD. Other regional parties that have suffered defections in recent months include the TDP, YSR Congress, NPP, NDPP, MNS and the Shiv Sena. In February, two TDP MPs and one MLA defected to Jagan Mohan Reddy’s YSR Congress in Andhra Pradesh. TDP MLA from Sathupalli seat of Khammam district in Telangana also defected to the TRS and is likely to contest from the same seat on TRS ticket. In Nagaland, two NPP legislators along with party vice president T Chalukumba Ao joined the ruling NDA following a rift over the upcoming by-election in Aonglenden constituency. In Maharashtra, Sharad Sonawane, MNS MLA from Junnar constituency, defected to the Shiv Sena.